Login to your Magento administrator dashboard and click on Catalog >> Products. On this new page, you can see a list of all of the products you&apos;ve added to your Magento store. Locate the one you want to edit the quantity for and click on the edit button. 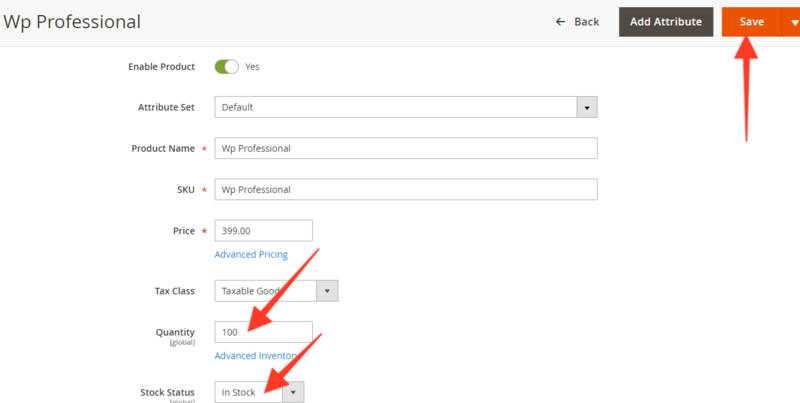 On the next page, you need to scroll down to the Quantity section and add the available amount of this product. As an example, we shall add 100 quantity of this WordPress Professional product. Remember to press the Save button at the top right corner in order to save changes!